The Nikon 85mm f/3.5G ED AF-S DX VR Micro Lens is a DX-formatted (designed specifically for crop sensor format cameras) medium telephoto for macro/micro subjects. It sports a life-size 1:1 maximum magnification ratio and an 11.26" minimum focusing distance, making it ideal for photographing insects, flowers, and more. The Silent Wave Motor AF system produces near-silent focusing that is suitable for recording video and the Vibration Reduction system reduces the appearance of camera shake when using slower shutter speeds in low light conditions. 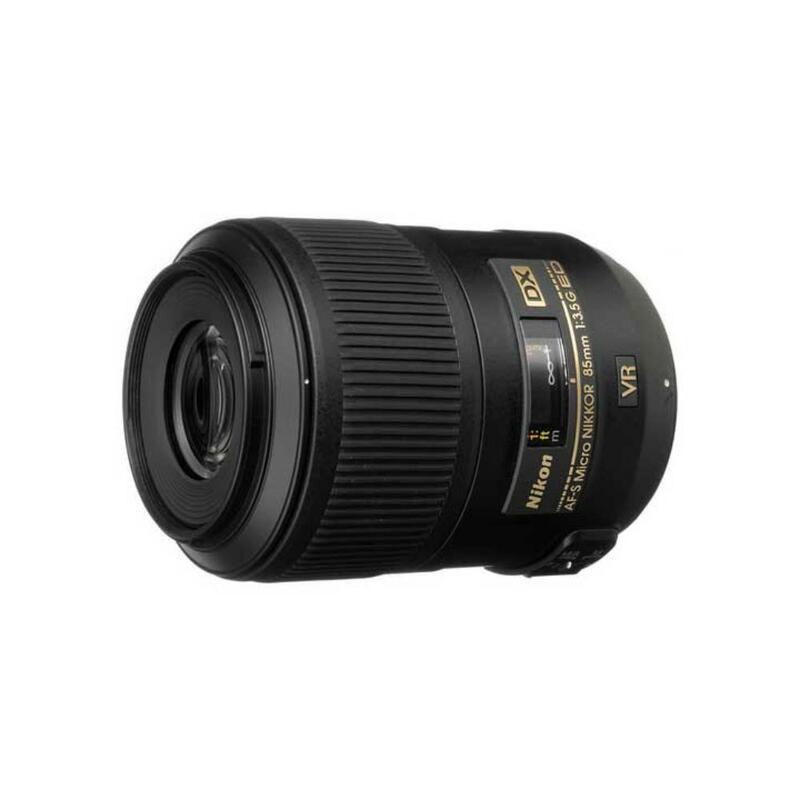 This lens is ideal for all kinds of macro work and for portraits.